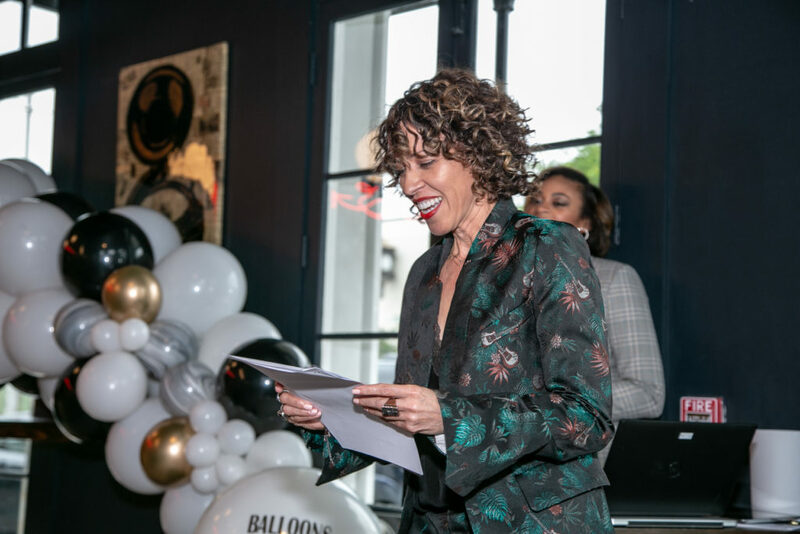 Meet Gina Charbonnet, the founder of GeChar Inc. and executive producer behind an empowerment experience at the Essence Festival. Over the last 19 years, she’s made a business out of women’s empowerment. And believe it or not, when it comes to producing an exceptional event she learned her best business lessons from working at her family’s funeral home. Considering your family owns the famed Charbonnet-Labat-Glapion Funeral Home, you come from a history of entrepreneurship. What are some of the best lessons you learned about entrepreneurship from your family? Growing up watching my grandfather and dad invest meticulously in the funeral home business, which served the community, gave me a bigger understanding of the importance of branding, especially in a service-oriented business. The funeral home was competing with five other funeral homes in the same area for clients. Best lessons I learned was that relationships and networking are very important to maintaining and sustaining your business. I also learned that having a presence in and supporting the community you serve is important as well. Being in the funeral home every day, playing and pretending to be a receptionist that greeted clients or the funeral director that took care of the family arrangements, I learned life is production, and planning a funeral was planning a person’s last rite of passage, their last act—it inspired me to go into the entertainment and production business. It taught me to develop and work on projects that would organize and bring together all the elements creatively and logistically to tell stories. From Sunday brunches to full-day conferences, women’s empowerment has become a multibillion-dollar business. What was the “aha moment” that inspired you to turn empowerment into your business: GeChar Entertainment and Production? I made a choice early on that I wanted to work on projects that educate, create equity, have a social justice focus, and shift the way people think about our interconnectivity. I created GeChar’s mantra, Consciously Moving the Crowd, because I wanted everyone to know that the work we create contributes to building awareness and making people conscious. So for me, my aha moment was when I first started working on the ESSENCE Festival’s Empowerment Experience with Susan Taylor the former editor-in-chief of Essence Magazine. Realizing I was working alongside the icon that graced the pages of ESSENCE Magazine and who encouraged women to embrace their spirituality and love themselves, it was a turning point in how I saw myself and my potential. I realized I was working on conversations and messaging that was actually touching people’s lives and changing the way they thought about themselves and their communities. It’s not just about working on projects that empower the masses, it’s about embracing the ideas we live, breathe, and develop and experiences that we create. It shifts your life, your vision, and the lives you touch when you realize that the work you are doing is empowering people. So, I would have to say my aha moment was the realization that the work we were doing and creating through our programming was actually changing people’s lives. What is the biggest change you’d like to see in the industry and how are you working toward making that change happen? I think creating content and experiences all age groups can embrace. In the next 5-10 years, millennials will be the new audience. We have to figure out the formula for making programming more inter-generational so we can learn from each other and create dynamic and engaging programming that is marketable via social media. In addition to Essence, you have worked on the New Orleans Jazz Festival, with Black Girls Rock, and more. What’s the most underestimated or overlooked tip for creating a great event? So many times people overlook the audience. You can spend months with a client that has amazing ideas for events and projects, but you have to really do your marketing research to figure out if your idea is viable enough to attract an audience and sponsors. The post The Executive Producer Behind the Empowerment Experience at Essence Festival appeared first on Black Enterprise.